With Father's Day coming up, we'd like to suggest a few books for young people that celebrate dads (and granddads). Pete's a Pizza by William Steig gives readers all the ingredients they need to make a pizza--with the child as the dough--based on a game Steig played with his daughter. In Mitchell's License by Hallie Durand, illustrated by Tony Fucile, a boy gets to drive his dad; Mitchell checks the tires (his father's feet) and engine (stomach) before taking the driver's seat. And just before 8 a.m., Every Friday (by Dan Yaccarino) Dad and the boy narrator head to the diner, "even if it is cold, sunny, snowing, or raining." 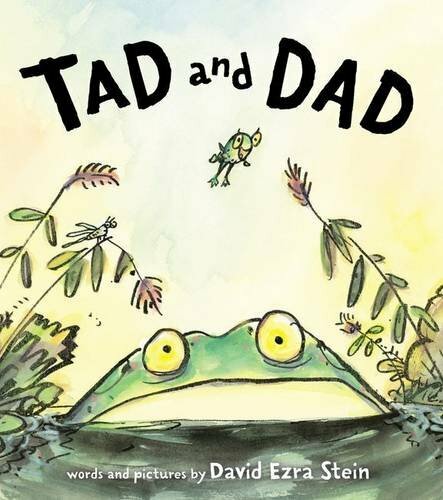 Tad and Dad by David Ezra Stein zeroes in on a tadpole who refuses to leave Dad's side--even at bedtime--which gets more complicated as Tad gets bigger. Two warmhearted picture books celebrate grandfathers: Abuelo by Arthur Dorros, illustrated by Raúl Colón, and Noodle Magic by Roseanne Greenfield Thong, illustrated by Meilo So. In the first, Abuelo and the child narrator share a close relationship, riding the plains together on horseback. When the boy moves to the city, his grandfather's teachings sustain him. In Noodle Magic, young Mei learns from her grandfather how to make his famous noodles, and to find the magic within herself. "You know you're a serious book collector when..." The New Antiquarian blog finished that sentence in many ways, including: "The high balance on your book credit card 'doesn't really count.' "
"Wear your lit love on your sleeve," Buzzfeed advised in showcasing "29 breathtaking tattoos inspired by books." "Reality is overrated: 5 completely insane books you should read with your kid" were featured at Brightly. Bustle recommended "8 truly feminist lessons from Jane Austen that every 21st Century woman can use." Noting that from Rudyard Kipling to William Dalrymple, "these titles document the folly, cruelty and heroism of the Raj," the Guardian recommended the "top 10 books about the British in India." 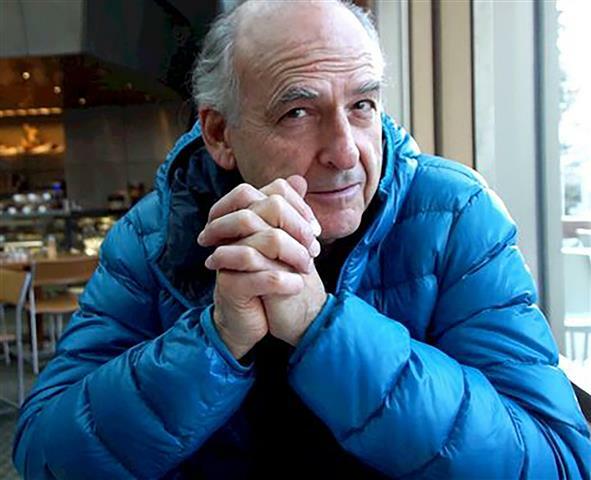 Jay Rubin received a Ph.D. in Japanese literature from the University of Chicago and is an English-language translator of Japanese literature, known best for his translations of Haruki Murakami's work. Rubin's first book, Making Sense of Japanese, has been used in Japanese-language courses around the world. His first novel is The Sun Gods (Chin Music Press, $15 paperback), which tells two stories: one of Tom, a widowed pastor, who abandons his Japanese wife, Mitsuko, and white son after the attack on Pearl Harbor; the other of Bill, the now-grown son who cannot remember his life in the Japanese-American internment camps in World War II, but feels compelled to locate the Japanese woman he remembers being his mother. With The Sun Gods, you've gone from being a translator to being a novelist. What was that transition like? I have been interested in literature, of course, as my subject matter. Then as a translator, I do a lot of writing. I teach translation, and the best advice I have for students who want to be translators is very boring for them, but it's key to the whole process, and that's practice. Writing is like a musical instrument. You have to play a lot. Only when you practice writing can you begin to say what you want to say. So I have a lot of practice translating other people's writing, and my writing has been improving at the same time. It was, I think, a natural progression. The Sun Gods deals with the American internment camps during World War II. What drew you to this subject? Years ago, I started to read about censorship in Japanese. The more I read about censorship in Japanese literature and what system the writers were working under, I got angry, and that sort of gets me going. That's what happened with The Sun Gods: something got me going. There's a scene in the book where Bill, one of the main characters, meets a person who says, "Well, you know about the camps?" and Bill doesn't know anything about the camps. He's a senior in college and he's never heard that the U.S. government locked up 120,000 people because of the color of their skin and made them stay in these awful camps in the middle of the desert for three to four years. In a way, that's the most autobiographical moment in the book, because I didn't know about any of that stuff until I was in graduate school--that would have been around 1964. My professor, who was a specialist in Japanese literature, said something to me about these camps, and he told me that this had happened. I felt like saying, "No way! My country doesn't lock people up in concentration camps!" And that's how the character reacts. He just doesn't know a thing about it. That's when I started reading about the internment camps. I did a lot of reading and got all worked up about it. I tend to respond to matters of injustice. I was struck by the strong sense of place and landscape that pervade the story. How has living in the Pacific Northwest influenced you as a writer, specifically as it relates to this book? Living here, you're immersed in the history. I moved to the Seattle area in 1975 and that's when what's called the Day of Remembrance was just starting. It happens every year. People who were sent off to the camps get together to talk about their experiences. My wife and I went to one of those days when we first came here. The history of the camps is a much more alive thing here. In the East Coast or Chicago, you can learn about it, but you don't really have a sense in the community that this was something that was suffered by the community and by people you actually know. That was definitely a push from the surroundings. I also learned that the University of Washington had a special collection on the internment camps, which fueled my interest. At some point, and I don't know when it happened, I went from interested to wanting to write a novel. Something clicked with the religious angle, too. It was just so amazing to me that people had behaved so badly toward this one racial group while considering themselves children of God, and the hypocrisy of the whole thing made me really upset. How did you approach your story? Did you have characters in mind already? My wife and I visited the Japanese Baptist Church here and became aware that they had a white minister at that time. There were all sorts of photographs out front of the Reverend Emery Andrews and his flock, and that struck a chord with me. He ministered to Japanese Americans sent to these camps. It was a moment of thinking about this beloved figure--and it turns out he was an amazing man who moved his family to Twin Falls, Idaho, to be close to Minadoka camp to continue preaching to his congregation; he was a totally devoted Christian in the best sense--somehow that sparked the thought of "what if he was not so great?" and that's where Tom came from. He was the non-Emery Andrews. When we think about characters, he must have been the first one: a minister who was not faithful to his congregation and ended up betraying them. The whole story started to coalesce around that character. Writers invariably say that at some point in the novel the characters took on a life of their own and behaved in ways they never expected. I took these kinds of statements with a grain of salt until I wrote my own novel. It was astounding. I still remember the day when Mitsuko did something that was a tremendous indication of her strength. I wrote this scene and it took me totally by surprise. I never imagined she was going to do that. I remember saying over and over again, "What a woman! What a woman!" And she is this total figment of my imagination, but I was so impressed with her! It's this crazy kind of thing. It was the first time I had experienced that, this thing you hear from writers. What's your relationship with your characters now that your book is done? How do you feel about them? Are they still dwelling in your mind? Mitsuko is definitely the one that has been my revelation. I don't think I could have dreamed when I started out that I could create a character like that. Gavin Kovite, who led an infantry platoon in Baghdad during the Iraq War, and Christopher Robinson, a Yale Younger Poets prize finalist, send their two young protagonists on a turbulent existential journey through a year and a half of the early 2000s in their first novel, War of the Encyclopaedists. Mickey Montauk and his best friend, Halifax Corderoy, imbibe together at an Encyclopaedists' party--one in a series of ironic faux art shows combined with booze-ups at Montauk's house--in Seattle the summer of 2004, assuming that they both will soon move to Boston for grad school. Montauk, however, learns that his National Guard unit is mobilizing and shipping out to Iraq. Meanwhile, Corderoy rudely breaks up with his artistic, recently evicted girlfriend, Mani. Corderoy goes to Harvard alone, quickly finding his cynical hipster act scores no points with classmates or professors. His roommate, Tricia, obsesses over the possibility of going to Baghdad as an intern for an unembedded journalist. Montauk goes overseas to experience both the horror and the camaraderie of modern warfare, and the two best friends soon grow apart, staying loosely in touch by editing a Wikipedia article about their erstwhile personas, the Encyclopaedists. Discover: Two best friends, one of whom serves in Iraq while the other stumbles through graduate school, stay in touch by editing a Wikipedia article. Sarah Leipciger's debut novel, The Mountain Can Wait, centers on a family's shared and separate struggles in the wilds of British Columbia. Tom's wife left him when the kids were small. He hopes he can put in one last good year at work, sell his forest restoration company and provide for his children in his retirement. His son, Curtis, lives a few towns over, a young man on his own. Daughter Erin has begun to pull into herself, in typical teenage fashion. Around this nucleus are colorful characters like Tom's mother-in-law, angry and estranged, living off the land in a tiny island village; Tom's new girlfriend, a poet with an independent streak; and the tree planters and other employees of his company. This motley crew sharply evokes their environment in Leipciger's spare but feeling prose. The biggest crisis of all is out of sight for much of the story: a hit-and-run that kills a teenage girl and haunts the driver, who is slow to seek redemption. "She was an instant, the sulfuric flare of a match.... And there was a dull slap." It shadows the rest of the action, as characters go on making their plans, unaware of how the accident will affect their lives. Discover: A hit-and-run fatality overshadows the life of a family and a community in the bush of British Columbia. At the start of Nell Zink's delightfully odd first novel, Mislaid, Peggy is a white, lesbian teenager in 1960s Virginia heading off to Stillwater College, a remote women's school, where she begins a strangely lusty affair with one of the few male faculty members, a famous gay poet. Their misguided, mismatched affair quickly results in a pregnancy and marriage, but after 10 years, Peggy is miserable and runs away, taking their three-year-old daughter and leaving their nine-year-old son, Byrdie. Because her husband has threatened to have her committed, Peggy goes into hiding. She conveniently acquires a birth certificate from a recently deceased African-American girl child and rechristens her white-blonde daughter as Karen Brown, herself as Meg. "Maybe you have to be from the South to get your head around blond black people," writes Zink, but Meg and Karen, white as they are, do pass. A decade later, when Karen enters the University of Virginia on a minority scholarship as a freshman, Byrdie is a senior there and the two meet again. The ensuing drama of confused identities propels a broad cast of quirky, complex, lovable characters into odd scenarios. Discover: A Southern comedy of errors starring a broken family stretched across social classes. In Kirsty Logan's The Gracekeepers, water covers most of the planet's surface and land is a precious and limited resource. In this world, the Circus Excalibur is a flotilla of ships, home to a ragged group of performers. As the vessels approach a small island, Logan builds the mythology of this watery world, where there are two kinds of people: damplings, who live in boats on the water, and landlockers, who live on solid ground. In order to make a living, the circus travels from one island to another in hopes of performing for the landlockers. Among these performers is a young woman named North, who has lived aboard the Circus Excalibur all her life, and earns her keep by performing with her bear. North harbors a secret that would threaten her livelihood if anyone in the circus finds out, but she can't envision an alternative to the circus life until she meets Callanish--a gracekeeper, or undertaker. Callanish lives alone in a tiny, isolated house. She, too, harbors a secret, and would be in great danger if other landlockers knew of her webbed feet and hands. Here she is safe, but her desire to see her mother draws her from her self-imposed exile, a risk she is willing to take to make peace with the life she left behind. Discover: This speculative tale explores the harmful nature of isolation and the serenity that comes from finding one's place in the world. The Life and Death of Sophie Stark, Anna North's (America Pacifica) second novel, has the feel of a documentary transcript. The title character comes across as subject more than protagonist, rendered through the perspectives of others and the work she did with them. Sophie Stark spent her life struggling for words until the day she picked up a video camera and discovered she expressed herself more easily through images. Her first film, a quirky documentary about a player on her college's basketball team, opens the door to a filmmaking fellowship in New York City. She finds new stories there--revealed from the stage at a storytelling showcase in Brooklyn and shared privately by a musician while they made a music video together--and the movies that are built on these stories begin to attract a following. Collaborative and romantic partnerships blur behind the scenes, giving Stark's work a particular sense of intimacy and a rough-edged beauty that proves difficult to re-create on a larger, less personal scale. Discover: Sophie Stark, noted independent filmmaker, viewed through the eyes of her subjects, collaborators and significant others. In a confident, daring first novel, Sarai Walker mixes satire and mystery as she holds a magnifying glass over Western culture's objectification of the female gender. The result is combustion of enormously entertaining and thought-provoking proportion. Alicia "Plum" Kettle is 30-something and fat. She's always lived with the stares, jokes and vicious maltreatment from a society that values skinny. Plum tries diet after diet to no avail. She designs her life to be as inconspicuous as possible in order to avoid the negative attention her obesity draws, and now she's decided to have weight-loss surgery to release the true--and beautiful--Alicia inside her. Before the scheduled date of her procedure, Plum is introduced to and befriends Verena and her cadre of feminists, who are working to defy destructive gender attitudes. Meanwhile, a terrorist group known only as Jennifer begins striking around the world, targeting institutions and individuals harming women. Plum becomes unintentionally mixed up with the elusive Jennifer as well as closely examining her own perceptions, fears and attitudes. Her carefully constructed walls of safety crumble, and she is forced to decide if she has the courage to face exposure. Discover: On the brink of weight-loss surgery, a obese woman is forced to confront the idea of beauty in a culture that treats her with sanctioned insolence. The Guild of Saint Cooper is a wistful, elegiac and far-reaching cosmic dystopian novel set in Seattle and its suburbs. Blake, the narrator, is a struggling writer burdened by the collapse of the United States due to the drying up of its fossil fuels, the collapse of his ambitions and a mother with terminal cancer. A chance encounter with a mail carrier gets Blake invited to the Guild of Saint Cooper, a group attempting to prop up Seattle's fading sense of self and history by rewriting its past. The tenuousness of memory is an especially bittersweet thread in the book: "my memories seemed to have been swallowed up during the general implosion. Where do memories go to die? Was it trauma that locked them away, or had disinterest kept them from forming in the first place?" The tales of the guild come surrealistically true; reality and Blake's narrative become joyously unhinged. The metropolis becomes suffused with rhododendrons, as if the city itself is striving toward fertile consciousness. "Perhaps in the vacuum caused by the sudden disappearance of dense civilian life, what remains shifts, reorganizes, compensates for the absence." There are aliens with questionable intent, narratives that switch from first person to third person, gender fluidity of main characters and even the appearance of Twin Peaks's legendary Agent Dale Cooper. Discover: An ambitious dystopian novel that bends time and identity as a city rewrites its own history. Naomi Novik, author of the Temeraire series, departs from alternate history to explore a fairy tale setting in Uprooted. The story begins with the familiar trappings of a folk story: a medieval village, a sorcerer, a dark forest and two girls, one seemingly perfect, the other nearly comically flawed. Dangerous creatures and malevolent magic from The Woods threaten Agnieszka and Kasia's small village. Only the Dragon, a solitary sorcerer who lives in a distant tower, can keep the village safe. But the cost of his services is high: every decade, the dragon selects a girl from the village to serve him for the next 10 years, during which time she will not leave his tower. Everyone in the village believes Kasia, a girl of exceptional skill and grace, will be selected. But when her closest friend, Agnieszka, is chosen instead, Uprooted takes its first step away from the well-worn path of fairy tales as Novik explores the consequences of Agnieszka's sudden captivity. Nothing about Agnieszka's new life is easy, and the decisions she makes while in the Dragon's tower further compound her suffering. For Kasia, who was raised to believe she would be the Dragon's tribute, trying to lead the life she wasn't prepared to have proves nearly fatal. Discover: A familiar fairy tale transforms into a complex world of politics, misunderstanding and magic. Steampunk icons Ada Lovelace and Charles Babbage were frustrated pioneers of 19th-century computer science. Babbage spent many years and government grants developing his Analytical Engine, a steam-powered calculating machine, and Lovelace wrote the first computer program. But Babbage never completed his machine, and Lovelace, like her father, Lord Byron, died at the age of 36. In her first book, The Thrilling Adventures of Lovelace and Babbage, London animator and cartoonist Sydney Padua creates an alternate history for them, or as she puts it, "a pocket universe" in which they enjoy a lifetime of happy collaboration and fantastical adventures. They amuse Queen Victoria, battle Luddite mathematicians and meet with great minds of the century. One chapter is a raging satire of economic theory; another dramatizes Lovelace as Alice in the Wonderland of her career and her detractors; another sends George Eliot into the cat-infested guts of the Difference Engine in desperate pursuit of the only copy of her first novel, wandering through a flowchart and some loops in the process. Discover: A cartoon joyride through the semifictional history of two charismatic 19th-century computing geniuses. At times, The Odd Woman and the City, Vivian Gornick's collection of reflections on her decades of life as a New Yorker, feels impersonal for a book subtitled "A Memoir." However, memoir is not necessarily synonymous with autobiography, and instead, the essayist and former Village Voice reporter is more interested in impressions, opinions and vividly drawn vignettes of urban life than in assembling facts and dates in chronological order. The Odd Woman and the City is strewn with scenes of everyday New York City--on the street, in the subway, in coffee shops and grocery stores--in which Gornick (Fierce Attachments) is both participant and observer. Many of her anecdotes have a particular feel: encounters with friends and contemporaries are shaded with an awareness that the city where they grew up and came of age is now the city where they are getting old. Bits of the ongoing, 20-year-long conversation she's had with her friend Leonard are woven through the book, frequently leading into or out of longer discourses on literature, history or city culture. Discover: One woman's reflections on decades of everyday life in New York City. If you could forget the worst moments of your life, would you? That's the promise offered by the Leteo Institute in this provocative debut novel from Adam Silvera. Aaron's family is shattered when his father commits suicide, and Aaron's downward spiral leads to his own suicide attempt. In his near-future Bronx neighborhood, everyone suffers, though no one discusses it. Aaron's older brother and mother are distant, lost in their own grief. His girlfriend, Genevieve, is supportive but heading to art camp, and he can't discuss things with his friends. Then Aaron meets Thomas, who's willing to show emotion, reluctant to fight and lets Aaron talk about his past. Aaron comes to realize his feelings for his new friend are more than platonic. But being gay in a tough neighborhood doesn't feel like an option to Aaron, and he begins to consider a controversial medical procedure that can alter and eliminate unwanted memories. Leteo Institute may be able to suppress his feelings for Thomas, but can they erase Aaron's sexuality? Discover: A powerful debut about a young man struggling with his sexuality who considers a procedure that offers to erase unwanted memories. This engaging picture begins with familiar childhood experiences of water--a pond, rain, a drink--then moves into its more wondrous properties. In a series of wordless watercolor and gouache images, Jason Chin (Gravity) introduces a sister and brother catching a turtle in a nearby pond; their mother calls them home, and a sudden rainfall suggests the reason. Everywhere there's evidence of water at work: a garden blooms near a water hose, and a toy boat floats in a shallow inflatable pool. Inside the kitchen, the children head for the faucet: "Drip./ Sip./ Pour me a cup," Miranda Paul's (One Plastic Bag) lyrical text accompanies the boy filling a glass with water while his older sister gives some to their newly acquired turtle. "Water is water/ unless..." (a page turn reveals the answer), "it heats up." We see the siblings' father pouring cocoa. Rising steam tells readers the kettle is hot ("Whirl./ Swirl./ Watch it curl by"). Paul and Chin continue to show water's stages through cause and effect. As steam "cools high," it forms clouds ("A dragon/ in a wagon?"). If steam cools low, it's fog. Rain forms puddles; puddles freeze to make skating rinks. They also carry this logic (solid to fluid) to apples, which become cider. Discover: This engaging picture book begins with familiar experiences of water and moves to its more wondrous properties.